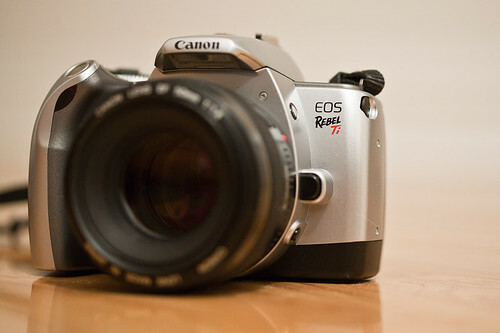 The Canon Rebel Ti was released in 2002 to upgrade Canon's EOS Rebel series of autofocus consumer SLR cameras. 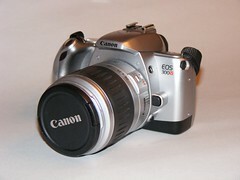 This camera is also known as the EOS 300V. There are also variations EOS Rebel Date Ti and EOS 300V QD. 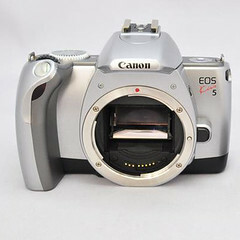 It is known as EOS Kiss 5 in Japan. Upon its release, the Rebel Ti had the fastest autofocus and most advanced autoexposure in its class. Among the more welcomed improvements was the new stainless steel lens mount, replacing the less durable plastic mount found on previous EOS Rebel cameras. Self timer: electronic, 10 sec delay. viewfinder: 90% coverage; 0.7x magnification. This page was last edited on 31 May 2016, at 14:14.